Kern’s lengthy thread continued to say much of the backlash could’ve been avoided had Blizzard chosen to tease a PC-based project along with the mobile game announcement. Others commenting on the announcement over the weekend brought up Bethesda’s E3 presentation as an example where it showed off the mobile game The Elder Scrolls: Blades but still teased The Elder Scrolls VI and Starfield. 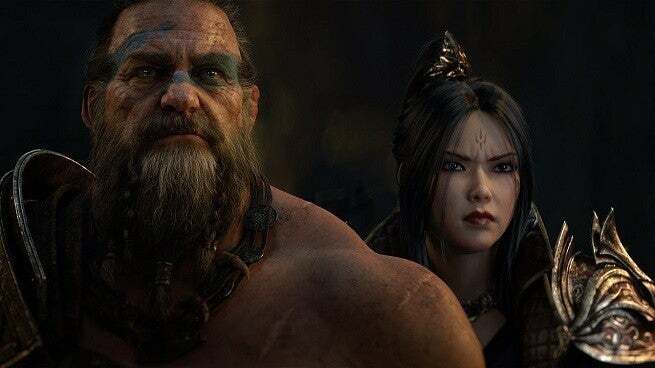 Kern acknowledged that Blizzard said they’d expected some backlash, though not quite as much as they received, and said that had Blizzard asked Diablo fans what they wanted, they could’ve been more prepared. The Diablo 2 producer went on to say that the Diablo Immortal situation isn’t a “toxic gamer issue" nor is it an issue of entitlement. He said that Blizzard has perhaps “really lost touch with gamers” and said developers need to constantly talk to gamers to connect with their audience. Kern's full Twitter thread about the Diablo Immortal reveal and fans' responses can be seen here.